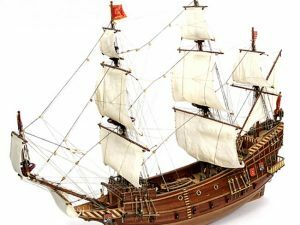 San Marcos – In 1588, King Philip II of Spain put the Duke of Sidonia in charge of the Spanish Armada. With the goal of invading England, 131 ships and 17,000 men set out for Dunkirk, where they were to join forces with the Duke of Parma and pick up another 16,000 men. 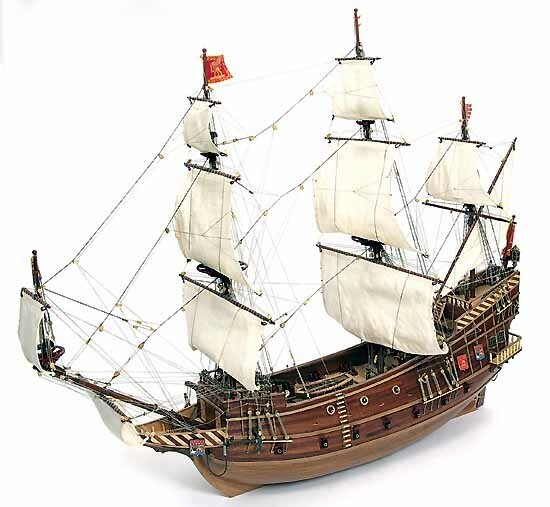 One of the most important ships of the fleet was the San Marcos, a Portugese galleon of 790 tons. San Marcos carried 33 guns, 292 soldiers and 117 sailors. Heavily damaged during the battle and punished by high winds, San Marcos broke up on the reef between Mutton Island and Lurga just off Ireland’s west coast. 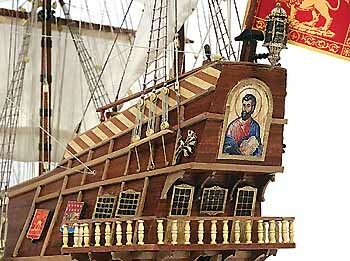 San Marcos Galleon – In 1588, King Philip II of Spain put the Duke of Sidonia in charge of the Spanish Armada. With the goal of invading England, 131 ships and 17,000 men set out for Dunkirk, where they were to join forces with the Duke of Parma and pick up another 16,000 men. 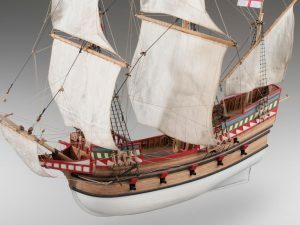 One of the most important ships of the fleet was the San Marcos, a Portugese galleon of 790 tons. San Marcos carried 33 guns, 292 soldiers and 117 sailors. Heavily damaged during the battle and punished by high winds, San Marcos broke up on the reef between Mutton Island and Lurga just off Ireland’s west coast. 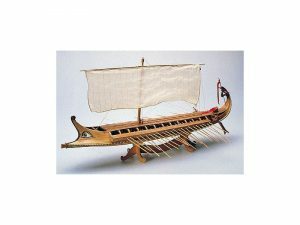 OcCre’s San Marcos plank-on-bulkhead ship model kit uses laser cut wooden parts and double planking in flexible limewood and rich African walnut. 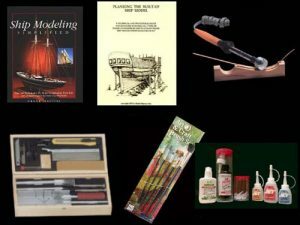 The San Marcos lifeboat is built strake by strake, just like the real thing. 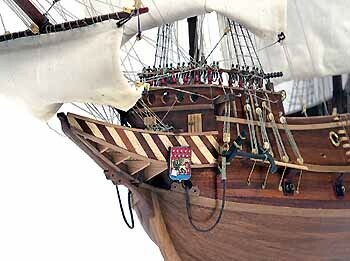 A generous fittings package contains brass cannon, belaying pins, eyebolts and rings, gudgeons and pintles, hardwood blocks and deadeyes and photo-etched detail parts. 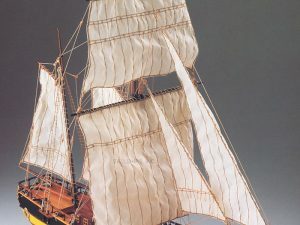 Pre-sewn cloth sails, silk-screened flag, rigging line and wooden display base with nameplate complete the model. 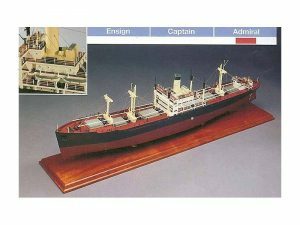 Detailed plans and pictorial instructions with over 100 photographs assure a magnificent San Marcos model ship.